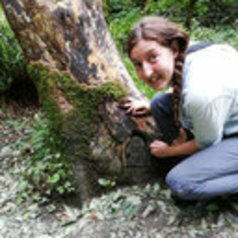 My main interest is in wildlife conservation, and this has taken me around the world to undertake research, predominantly focussed on large mammal populations. While studying for my undergraduate degree I was fortunate enough to be able to undertake research in South Africa studying leopard ecology and methods of recording carnivores. It was here that I learnt how to use camera traps and became interested in how we can use them to study wildlife. Following on from this I used camera traps to study elephant movement in the Mount Kenya Elephant Corridor for my Masters research. I have also spent the last two summers leading large mammal surveys in Romania collecting data on wildlife as well as teaching surveys skills, including camera trapping to students and volunteers. Camera traps are an amazing technology that can give us insights into the hidden lives animals that we would not otherwise be able to see. Not only can they provide useful data but they can also be a wonderful tool for public engagement as they allow people to see charismatic wild animals in their natural habitat. Camera trap technology is advancing rapidly and becoming more and more accessible to the general public therefore providing great potential for collaboration and for members of the public to actively participate in research. Involving members of the public can help bridge the communication gap between scientists and the public as well as increasing our capacity to collect data on a scale that would not otherwise be possible. For my research, I will be joining the MammalWeb team looking at how we can engage members of the public in camera trapping to study mammals in the UK, and, ultimately how we can then use the data collected to answer ecological questions about our mammal populations.